A haunting tale of longing and secrets by the author of How I Live Now. Masterly storytelling full of joy and sorrow from one of our true greats. On the morning of her wedding, Pell Ridley creeps out of bed in the dark, kisses her sisters goodbye – and flees. Determined to escape a future that offers nothing but pain and drudgery, she takes the only thing that truly belongs to her: Jack, a white horse. The road ahead is rich with longing, silence and secrets. Each encounter leads her closer to an untold story from her past. Then Pell meets a hunter: infuriating, mysterious and cold. Will he help her to find what she seeks? Or must she continue to wander the Earth, searching for love and lost things? 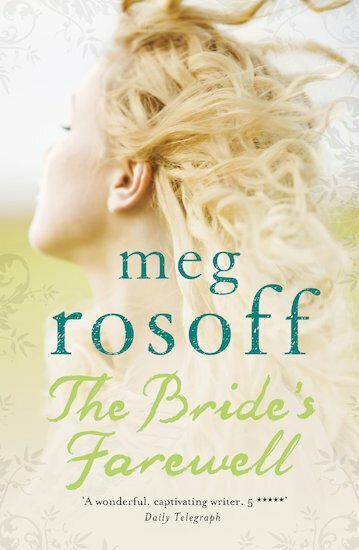 Meg Rosoff was born in 1956 in Boston, USA. She studied at Harvard University and left for England in 1977 to enter St Martin’s School of Art, later returning to finish her degree at Harvard. She worked in New York City for 10 years in publishing and advertising, before moving to England. She has written four novels for teenagers, as well as several picture books. Her first novel, How I Live Now, was published to great acclaim in 2004, winning the Guardian Children’s Fiction Prize, and shortlisted for both the Whibread Children’s Book Award and the Orange First Novel Prize. Her second novel, Just in Case (2006), about a hunted 15-year-old boy, won the 2007 Carnegie Medal, and her third, What I Was was also shortlisted for several major awards. Her latest book, The Bride’s Farewell is her first historical novel, telling the tale of a nineteenth century girl who flees on the morning of her wedding.